Spoilt for choice this month: two posts for new titles, and now two for paperbacks. I’ll start the first selection with one of my books of 2015. I have to confess that I didn’t get on with Emily Woof’s first novel, The Whole Wide Beauty. It was lauded to the skies by all and sundry but I gave it up. 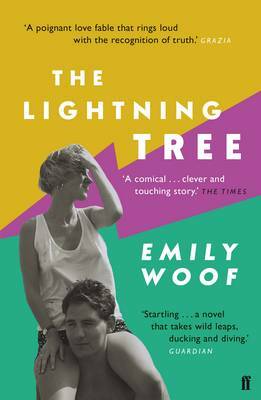 The premise of The Lightning Tree was so appealing, though, that I decided to give her a second try and I’m very glad I did. The bare bones are this: girl from one side of the tracks – comfy, middle-class, lefty activist parents – meets boy from the other side – council estate, working-class, Thatcherite mum and dad – they fall in love, the girl heads off to India, the boy to Oxford and then we see what happens, following them into their thirties. I find this structure a particularly attractive one: lots of lovely space for character development. 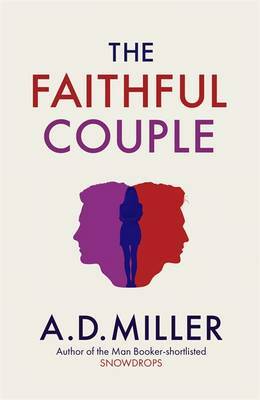 A. D. Miller’s The Faithful Couple also follows a relationship over many years. That name may ring a few bells for some readers – he’s the author of Snowdrops a hugely successful literary thriller set in Moscow in the 1990s, published back in 2010. His new novel begins in 1993 with two young British men, Neil and Adam, who meet on holiday in California. They instantly click then both become involved in a dubious moral act which dogs Adam, in particular. The book charts their friendship over nearly twenty years, picking out the tensions between them – Neil’s resentment of Adam’s casual privilege, career ups and downs, marriage and children with their attendant worries. Miller’s novel was an enjoyable piece of holiday reading for me last year which may explain why I remember it so well. 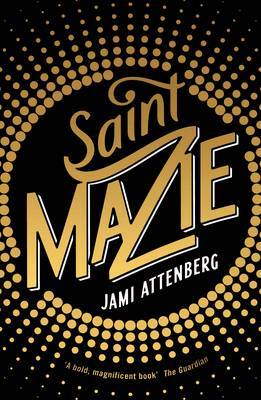 I think Jami Attenberg’s Saint Mazie would have stayed with me wherever I read it. As with Emily Woof, I wasn’t particularly keen on Attenberg’s much praised The Middlesteins but the background to her new novel was so intriguing that it piqued my interest. The eponymous Mazie was the subject of a short essay by Joseph Mitchell first published in The New Yorker and included in his excellent collection Up in the Old Hotel. Like many of Mitchell’s subjects Mazie’s story is a fascinating one – an ordinary working-class New York woman who did something extraordinary. Attenberg has taken Mitchell’s essay and re-imagined Mazie’s life using fictionalised interviews and autobiography extracts with her diary as the novel’s backbone. Mazie is an unforgettable character, and Joseph Mitchell’s story is almost as interesting as hers. 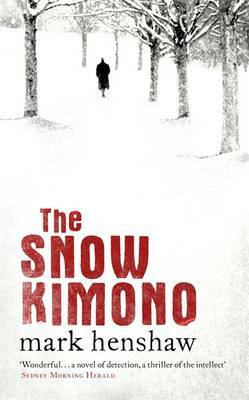 Now to one I haven’t read but am very much looking forward to: Mark Henshaw’s The Snow Kimono. On the same day a retired Parisian police inspector receives a letter from a woman who claims to be his daughter, he finds a stranger waiting for him at his apartment. Professor Tadashi Omura tells Inspector Jovert his extraordinary life story which has surprising parallels with Jovert’s own. It sounds intriguing and comes from Tinder Press who seem to have developed a sharp eye for talent. That’s it for the first batch of February paperbacks. A click on the title will take you to my review for the first four while The Snow Kimono will take you to Waterstones website for a fuller synopsis. If you’d like to catch up with February’s new novels they’re here and here. This entry was posted in Random thoughts, Reviews and tagged A. D. Miller, Before During After, Emily Woof, Jami Attenberg, Joseph Mitchell, Mark Henshaw, Palma, Paperbacks published in February 2016, Richard Bausch, Saint Mazie, Snowdrops, The Faithful Couple, The Lightning Tree, The Middlesteins, The Snow Kimono, The Whole Wide Beauty, Up in the Old Hotel on 18 January 2016 by Susan Osborne. We last visited Majorca back in the ‘90s, staying in a small village inland. This time we based ourselves in the capital’s old town. 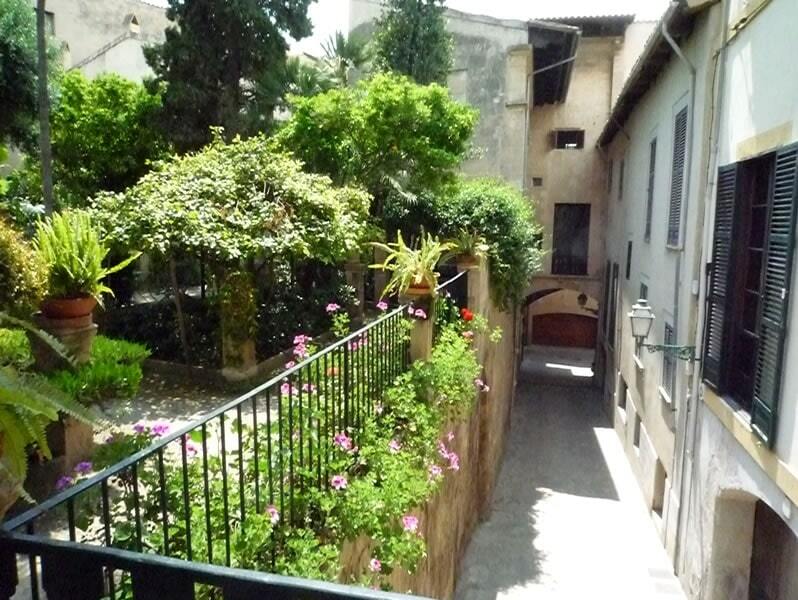 It’s a beautiful place – quite small, although the maze of narrow streets lined with buildings built tall to keep out the blistering summer sun means that you can walk for ages without treading the same path twice. Despite Spain’s economic difficulties there’s a good deal of money in evidence – elegant tree-lined boulevards replete with expensive shops, lots of swanky hotels and restaurants, and some very smart people to match. Incomers, most probably – the store directory at both branches of Spain’s smart department store chain, El Corte Ingles, include Russian amongst its languages. I hope some of that money finds its way into the locals’ pockets. As for what we got up to – lots of loafing, ambling and a nice dash of culture. Palma’s cathedral had to be visited for the Gaudi restorations alone: strikingly original, and controversial at the time – unsurprisingly – although not nearly so odd as Miquel Barceló’s sculpture whose strangeness defies description. Other than that we visited the Fundació Pilar I Joan Miró A Mallorca, getting sweatily lost on the way but just about managing to keep our tempers. 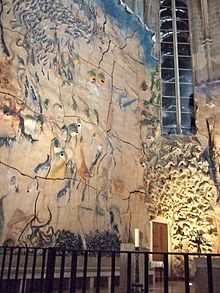 In the early ‘40s Miró escaped the Nazi invasion of France, fleeing to Majorca and settling there permanently in 1956. He already had strong connections with the island – his mother was Majorcan and he’d married a Majorcan woman in 1929. Both he and his wife, Pilar, wanted to leave his remarkable studio to the city of Palma and after his death Pilar was instrumental in setting up the Fundació. Set in beautiful grounds, the striking buildings alone are well worth a visit and there’s a changing exhibition of the work Miró bequeathed to his adopted city. Very enjoyable, but our favourite day was a trip on the rackety tourist train inland to Soller followed by lunch in a quiet courtyard tucked away from the crowded square which we’d both been fondly remembering as a sleepy backwater, then an hour or so wandering around the gorgeous Jardí Botànic and a bus trip home via the village of Deià, made famous by Robert Graves. One more dash of culture: a visit to Genesis, Sebastião Salgado’s stupendous collection of photographs exhibited at the La Caixa Foundation, run by Spain’s eponymous non-profit savings bank which turns out to have an admirable stance on corporate responsibility. How refreshing! As for books – several disappointments, including Apple Tree Yard, I’m afraid. I know there’s a lot of love out there for it but it seemed far too drawn out for me. My best read of the week was A. D. Miller’s The Faithful Couple which begins in 1993 with two young British men, Neil and Adam, who meet on holiday in California. They instantly click then both become involved in a dubious moral act which dogs Adam, in particular. The book follows their friendship over nearly twenty years, picking out the tensions between them – Neil’s resentment of Adam’s casual privilege, career ups and downs, marriage and children with their attendant worries – until 2011. It’s the kind of structure I find immensely appealing – lots of space for character development. The women characters, however, were a little two-dimensional and I wasn’t entirely convinced that Adam would find himself thinking of what happened in California every single day but on the whole it worked well. If you’d like to read a more considered review, nip over to Tales from the Reading Room. That’s it for my holiday. I hope you have one of your own planned soon. Back to books on Friday. This entry was posted in Random thoughts, Reviews, Travel and tagged A. D. Miller, Fundació Pilar I Joan Miró A Mallorca, Gaudi, La Caixa Foundation, Miquel Barcelo, Palma, Sebastião Salgado's Genesis, The Faithful Couple on 22 April 2015 by Susan Osborne.